Interview with Kevin Rice, Creative Director of the Yiddish Theatre and Klezmer Music Festival. Kevin Rice, Creative Director of the Payomet Performing Arts Center, and the driving force behind the Yiddish Theatre and Klezmer Music Festival on Cape Cod, recently took some time to answer a few questions about his passion for Yiddish theater and Klezmer music as well as the festival. The festival starts this coming Saturday, August 14 featuring events at the Payomet Performing Arts Center in Truro, MA and surrounding Cape Cod communities. NVR: For readers who may not be familiar with the Yiddish Theater and Klezmer Festival, can you give us a brief description of the venues where the festival is taking place and the kinds of events and performances attendees can expect to find? This Saturday evening we awaken the lower Cape to the coming festival with a prelude consisting of a screening of the award-winning film, Yiddish Theatre – A Love Story. That event takes place at the Wellfleet Public Library on West Main Street in Wellflleet. The remaining twelve events are produced over a four-day period, from Sunday, August 15 through Wednesday, August 18. All of these twelve events take place at Payomet Performing Arts Center on Old Dewline Road (off South Highland) in North Truro. 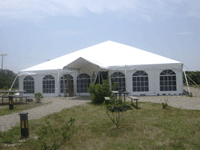 Payomet is located in a state of the art tent with audience seating on risers and sophisticated sound and lighting setup. It is an intimate venue, and over the last twelve years it has become known as the nexus for exciting performances and strong social values. Concession booth offerings are often influenced by the event (e.g. New Orleans Festival = Po Boy sandwiches and Jumbalaya), and so for the Yiddish Theatre and Klezmer Music Festival, the audience will be able to purchase fresh New York bagels, knishes and rugelach before between and after shows. The music is to die for and the readings are of plays that are rarely staged. And, for my money, the talk to be given by Nahma Sandrow on Sunday at 6:30PM titled The Ultimate American Theatre Was Yiddish will be a combination of thrilling and educational. Nahma is a light who shines on the Jewish and Jewish cultural community, emanating but not limited to New York City. Her talk would, ideally, be broadcast throughout the world. NVR: Is the festival accessible for people who do not speak Yiddish ? The Festival is totally accessible for non-Yiddish speakers. All readings are in translation. NVR: Can you tell us a little about a few of the main performers who will be featured in the festival? Western Wind‘s concert on Sunday, Mazal Bueno, in Ladino (the language of the Spanish Jews) will be their debut on Cape Cod. They are known and very loved in New York and perform regularly in western Massachusetts in the summer. Eleanor Reissa is a star of Yiddish theatre in New York and is bringing her hit show, Hip, Heymish and Hot “direct” from the city to our fest in North Truro. Eleanor is also the former Artistic Director of the Folksbiene Theatre in NYC. Reissa, who is a Tony Award nominated director, sings songs that tell of a young woman’s personal journey into the unique soulful culture that blends Yiddish and English through folk songs, including classics of the Second Avenue Theatre. 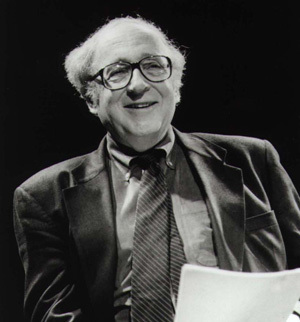 Isaiah Sheffer is famous for his National Public Radio show, Selected Shorts, and in New York City is well-known as the Artistic Director of Symphony Space. He grew up in the culture of Yiddish Theatre, and on Tuesday, August 17, he will bring his Yiddle With A Fiddle to the Payomet stage. Sheffer’s show features him, as well as Eleanor Reissa and 6-time Emmy Award winner Lanny Meyers on piano. Yiddle With A Fiddle will feature six fully staged musical numbers from Sheffer’s adaptation of the movie by the same name. Andy Statman is considered one of the leading clarinetists and mandolinists in the world, and father to modern American klezmer, rooted in and re-inventing this hasidic musical tradition. NVR: How has it changed since it is first began ? Where do you see it going in the future ? The festival has struck a nerve, the need for people to experience and celebrate the lost tradition of Yiddish theatre and to revel in the delight of klezmer. In the future we will build on what we’ve accomplished to date, and continue to include new performers who bring contemporary versions of this unique culture to life. NVR: Can you tell us a little about your own background in the Yiddish arts and what inspired you to start this annual festival? I developed an interest in Yiddish music and theatre through my own reading (my field of study was Russian Language and Literature) and through friends, and through my wife, a nice Jewish girl from Brooklyn, and Rabbi Padall who married us. And, finally, a tip of the hat to my mother-in-law, Adrienne Freedman, who continues to regale me with stories of attending Yiddish theatre as a little girl in the 1930s. NVR: How can people find out more about the festival? Best way to find out about festival is to go to payomet.org or call box office at 508-487-5400 (open daily 5-9PM). NVR: Is there anything else that you would like to add ? Publisher and Editor-in-Chief, The New Vilna Review. This interview will also appear on the New Vilna Review website.